Teleradiology consultants provided much needed relief when they started in the 1980s, allowing in-house radiologists to have regular shifts by covering for them at night and on weekends. However, in the past few decades, there has been growing concern that teleradiologists are directly competing with radiologists for business. Can the two coexist? Is the industry evolving to fit both, or will the rivalry only escalate? As technology advances, teleradiology becomes more accurate and accessible. Because the cost of using an outside firm or consultant is usually less expensive to hospitals than hiring employees to be on staff, the two types of diagnosticians now compete, instead of collaborate. Some experts warn that the widespread use of “phoned in” radiologists cheapens the industry, reducing those professionals to less than doctors. There is fear that the commoditization of diagnostic imaging puts too much pressure on these consultants to read tests as quickly as possible, and that some indicators are missed. 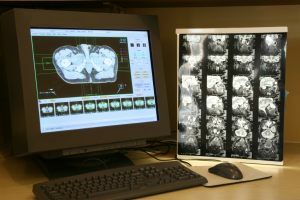 In house radiologists, it could be argued, are more invested in the success of the hospital and the patient, as they are able to form personal connections and have a managed work flow. All medical professionals should operate with the patient in mind, and it’s the duty of hospitals and physicians to apply the same rigorous evaluations to teleradiologists as in house diagnosticians. A common concern to hear is “teleradiology consultant’s primary goal is profit.” While this can be said of any hospital or practice, the main goal for any medical center is quality care. Making an increasing amount of money should be the by-product of honest and competent work. Further, teleradiologists provide subspecialist opinions that may not otherwise be available to radiologists and physicians. If something is seen on a scan that requires a conultation, often times it is sent to a teleradiology company that houses subspecialists. These professionals can collaborate and provide a more thorough diagnosis than one radiologist alone, and are a useful asset to a medical team. The primary function of a teleradiology consultant or company is to assist in-house diagnosticians in their work, and come together with their fellow medical professionals to treat each patient with both speed and accuracy.